Stephanie Laird is a consultant and professional development facilitator. Stephanie is an ambassador and advocate for education, literacy, and teacher leadership, who works with educators to impact student learning within the areas of curriculum, instruction, assessment, and community building. She shares her ideas with educators through social media, professional writings, and by facilitating adult learning nationwide. Stephanie serves on the International Literacy Association’s (ILA) Board of Directors from 2016 to 2019. She was the 2014 recipient of the ILA Technology and Literacy Award. In addition to serving at the International level, Stephanie is a past president of the Iowa Reading Association. Laird earned her BS in Elementary Education and Masters in Education with a specialization in Curriculum and Instructional Technology from Iowa State University. 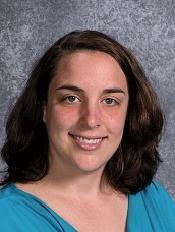 In 2016, she earned her Reading Specialist credential from Viterbo University and in 2017, her Administrative License. Currently, Stephanie is pursuing a Ph.D. in Education, focusing on Literacy at Iowa State University. If you are interested in having Stephanie Laird consult on an upcoming project, or speak at an upcoming workshop, conference, or professional development session, fill out the Contact Form below.